The forms of this restaurant building emerged from plein air sketches of the surrounding landscape. 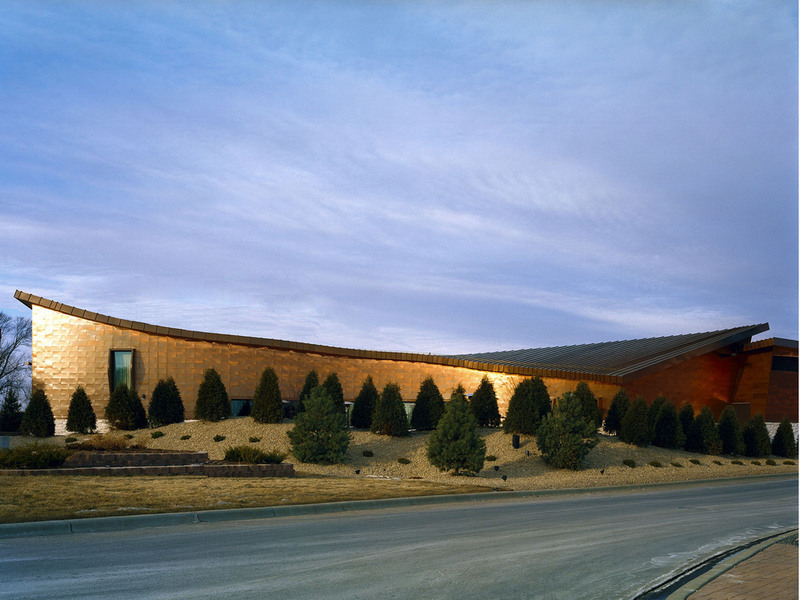 A new seven thousand square foot restaurant building inspired by the forms of the prairie. The restaurant site in Dakota County, twenty minutes from the Minneapolis city center was a mixture of prairie grass, farmland and forest morphing into suburban homes and strip centers. The site was set forty feet below a forty mile per hour street. The Owner requested a contemporary riff on a classic north woods roadhouse lodge in which to serve familiar comfort food. 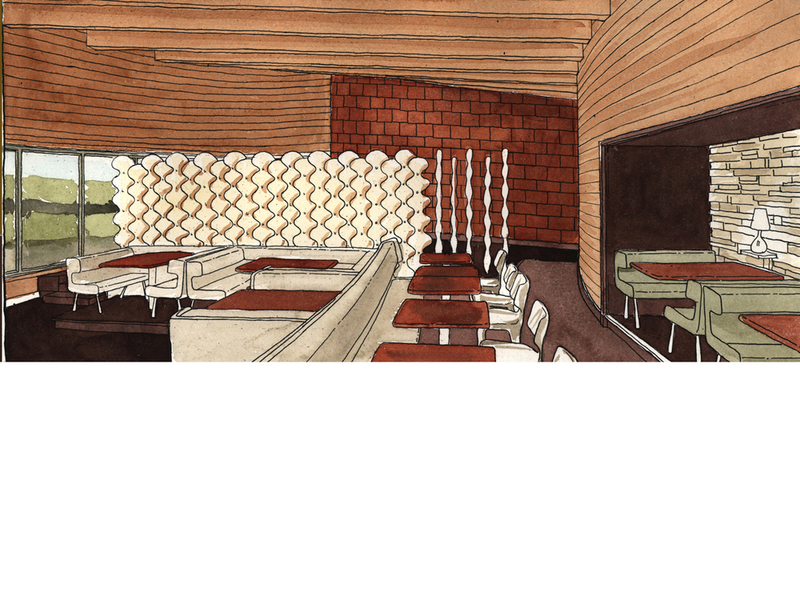 Landscape drawings and paintings of the prairie site were abstracted and then imagined as a wood interior clad in copper, also an abstraction of the archetypical regional mid century lodges and roadhouses of the North Woods. The building is a three dimensional sign. Fenestration focuses on an idyllic garden insulated from views of traffic by berms and evergreens.The materials for the project include copper, bronze, stone, Douglas fir lumber, quartz, Minnesota limestone and walnut. The site was rolling farmland and slices of deciduous forest and prairie. The form of the building emerged from a series of plein air drawings, paintings and, later, sculptures studying the landscape. Two undulating copper-clad buildings (nicknamed Josh and Jake, after the Owner’s sons) wrap around a terraced patio surrounded by evergreens, evoking a public exterior space suggestive of the north-woods weekend homes of Minnesota. Copper, mined nearby, was used to clad the roof and walls. The base of the building is local fieldstone. The sculptural forms of the building give the restaurant, drive-by street presence. The design of the restaurant began with an efficient kitchen and seating plan organized to minimize the travel distance of servers and to maximize flexibility and seat count. The interior architecture is terraced, rolling like the landscape beyond, allowing guests inside and outside to see one another. 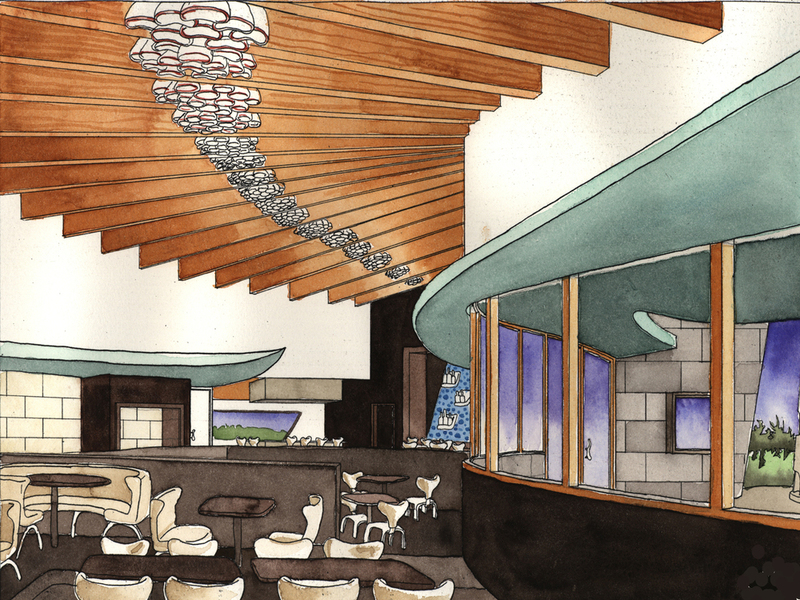 The interior of Copper Bleu is inspired by the archetypal lodges and roadhouses throughout rural Minnesota. 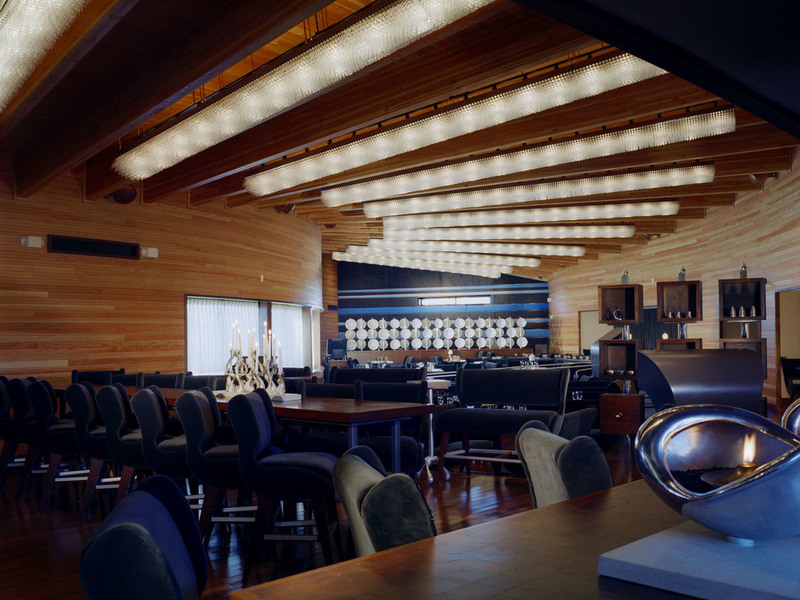 The interior is entirely surfaced in warm wood, softened with textiles and highlighted by glass. 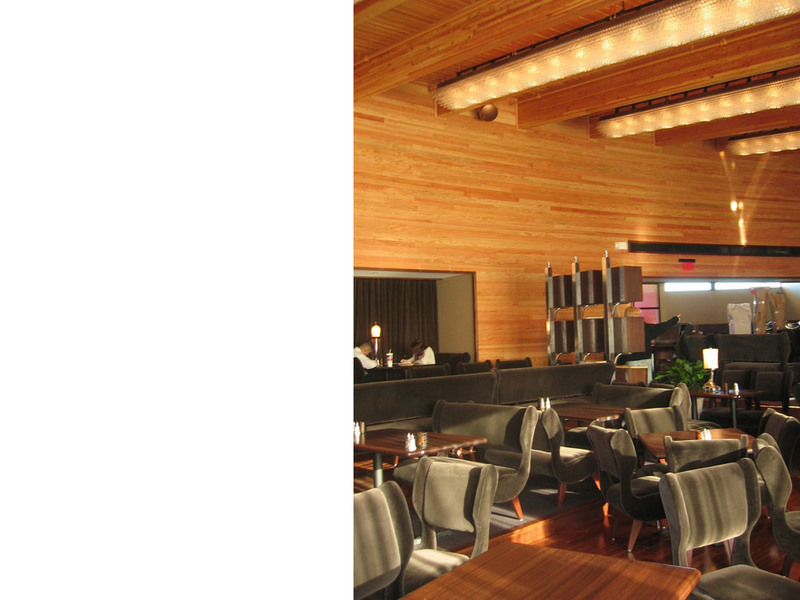 The ceiling is a twisting rhythm of glue-laminated Douglas fir beams and decking. Between the beams are chandeliers composed of perforated metal and 25,000 glowing glass tubes. The walls, like the ceiling decking, are composed of Douglas fir tongue and groove decking. Sunlight from the long garden window illuminates velvet seating in the terraced dining room. Finish materials are natural and designed to improve with age and patina.